L-Theanine Powder is a nootropic compound that is derived from Camellia sinensis–the tea plant. Black, green, and white teas all come from the Camellia sinensis plant and also provide the compound. L-Theanine is an amino acid, but it isn’t an essential amino acid or one of the more common nonessential amino acids that you might be more familiar with. L-theanine is an amino acid that occurs naturally and is found in green tea leaves. It works great as a relaxer because it calms you down without the sedative effects of other relaxers. 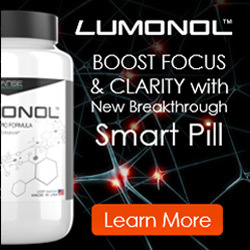 It comes with a number of nootropic benefits including improving memory and learning. For the best results it’s a good idea to combine L-theanine with caffeine and take 200mg of L-theanine with 100mg of caffeine. If you aren’t used to drinking coffee and caffeine then you might want to consider a lower dose and go for a dose of 100mg of L-theamine with 50mg of caffeine. If you’re an anxious person then you should forego caffeine and just take L-theanine by itself. Stress – Taking L-theanine is a great way to deal with your stress. It relaxes the body without leaving you feeling sedated and ready for a good night in bed. It does this through increasing your levels of dopamine and serotonin. These are the two primary happy hormones in the brain that leave you feeling good. This is why green tea makes for such an excellent relaxer, but you can get the benefits by taking L-theanine by itself. Memory – Like most nootropic supplements L-theanine is effective at helping boost memory and other cognitive functions. Because of this benefit L-theanine is often given to people suffering from dementia, Alzheimer’s, and other problems affecting memory. While it can be effective for those disorders it has also been shown to be effective at helping people with already healthy brains store and recall information. Because L-theanine can easily pass between the blood-brain barrier it is able to reach and affect the brain directly, meaning that these benefits are made more potent. Focus – Just as most nootropics improve memory they also improve focus. By relaxing you and removing stress L-theanine makes it easy for you to focus on what is in front of you rather than worry about anything else that might be going on in your life. It also stimulates and boosts cognitive function in general, which includes improving focus. Learning – The combination of the above three benefits creates the overall benefit of helping with learning. Students take L-theanine because it makes it easier for them to learn and remember information and it keeps them calm, helping them deal with the stress of exams and preparing for them. Because it doesn’t tire you out it’s an ideal choice for those all-night cram sessions where you need to stay awake but you could do without the jitters and crashing of caffeine. The most potent L-theanine stack is the aforementioned stack of L-theanine and caffeine. While L-theanine stacks well with just about any other nootropic it’s really brought to life through a combination with caffeine. The overall benefits of the stack is improved memory, enhanced focus, increased motivation, boosted mood, and less anxiety. Caffeine and L-theanine work together perfectly to activate your brain without stressing it (and you) out too much. This stack is so potent and well-known that you can actually buy capsules that are a combination of caffeine and L-theanine, making it much easier for you to get your daily dose of this powerful nootropic stack. Nootropics Club have researched trusted stores online and can give you the advice you need. Nootropics Depot is a store we trust and can recommend to you. You will be able to find Nootropic supplements here at a good price. Happy Shopping! Disclaimer: Food and Drug Administration have not reviewed any statements made on this website. The products and supplements on this site should not be used for the cure, treatment diagnosis or cure, and do not purport to prevent any diseases. This website contains the opinions of the various authors who are not medical professionals and do not provide medical advice. This website is only for providing the opinions of the Nootropics Club. Before undertaking the use of any mental health programmes or dietary supplements you should consult a qualified healthcare professional or your general practitioner for advice. Before purchasing abroad from this site, check to ensure that the Nootropics are legal in your country. Different affiliates support this website and a commission is paid on certain products from our advertisers.All trademarks, logos brand names and service marks shown on this website are the registered or unregistered Trademarks of their respective owners. We are part of an advertising programme which gives us a way of earning fees by connecting to affiliated sites. The purchase of products through our links ensures some funding to help keep our website alive.